There are many reasons to switch financial institutions. You may be looking for a bank or credit union with a location closer to your home or work after a move, one with lower fees, better rates, or different services altogether. A lot of people are making the switch from the type of financial institution they use and are leaving big, commercial banks behind because of high fees and poor customer service. No matter your motivation, making the decision to switch your bank account can be intimidating and overwhelming, as well as leave you lots of questions. Will switching effect your credit? Are you going to lose the perceived security of a big bank, or the convenience of having branches and ATMs on almost every corner? Not to mention that you might worry about forgetting your rent is due and bouncing a check from your old account while you're in the process of transferring money. Sometimes, the only thing that keeps us from taking action is knowing how to make the change. The good news is that switching banks can be a lot easier and less time consuming when you know what you're doing (or you have someone to help you). Sometimes, the only thing that keeps us from taking action is knowing how to make the change. Don't let fear keep you from switching bank accounts to one that actually meets your needs. We're here to help you. Use this guide to make sure you've covered everything you need to switch. To make switching bank accounts as easy as possible, there are a few things you need to do before the actual switch to set yourself up for success. The biggest part of switching banks is finding the financial institution you're going to switch to! This can take some time, and you want to do your research so that you don't go through this process only to find out that you want to switch again. Most often, you'll be choosing between a bank (whether its a national bank or a smaller local bank) and a credit union. Credit unions are usually more community based and may serve certain populations based on their location, employers, schools, or other criteria. 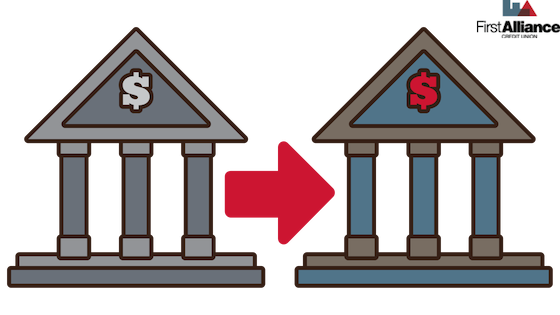 Unlike banks, credit unions are also not for profit cooperatives that are owned by their members. 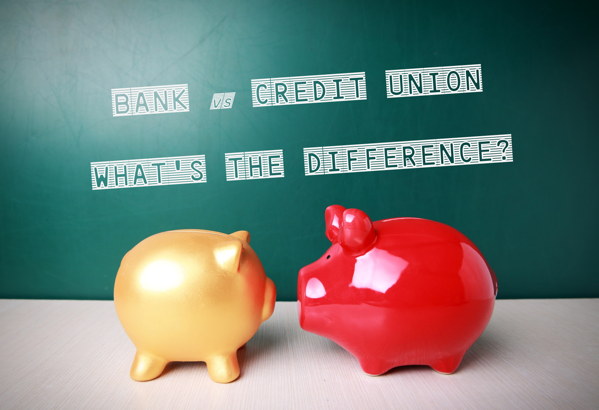 Want to learn more about what makes a credit union different from a bank? At the end of the day, it's up to you to select a financial institution that offers the things that are most important to you. Switching to a smaller bank or credit union may mean sacrificing the option of having a branch near you no matter where you go in the world, but with today's technology, like online and mobile banking, you can manage your money anytime, anywhere without needing to visit a branch. Additionally, most financial institutions these days are part of nation-wide ATM networks, such as All Point and Money Pass, that allow you to access your funds from any ATM across the country. So even if you're traveling, affordably accessing your funds shouldn't be an issue with a smaller financial institution. Plus, smaller banks and credit unions usually have lower fees, higher rates of returns on certain accounts, and lower loan rates. You'll also get more personalized customer service and a family-feel from switching to a smaller, local institution. Download or export any important transactions or banking statements. Since you will be closing your old accounts, you will lose the history in that account. If you ever need to provide proof of purchase, dispute charges, or even document assets for a loan or insurance – you will want to have a copy of your old account history. 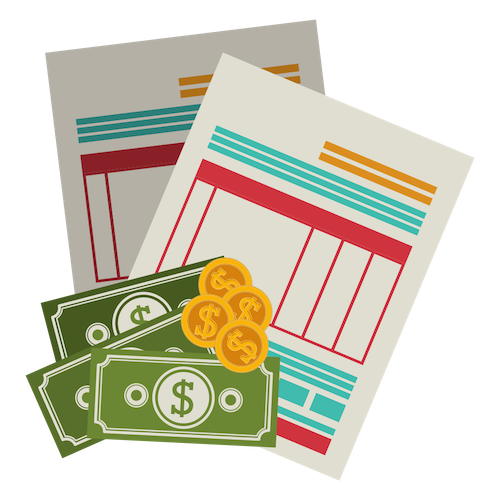 If you use any electronic bill payment services, document the list of bills you pay, how much they are on average, and when you pay them. This will help you make note of any bills that will need covered during your switching process. Review the last several months of account statements for any accounts that you're closing and identify all automatic payments and automatic deposits. This will help you identify any recurring costs that will need to be covered during your switch and will identify merchants that you will need to update bank information for. Make sure you go back far enough to catch any payments (insurance, tax returns, even some utilities) that can occur on a non-monthly basis. Once you've selected your new credit union or bank and have your documents in order, it's time to get to work. Savings accounts that allow you to earn interest on your money. 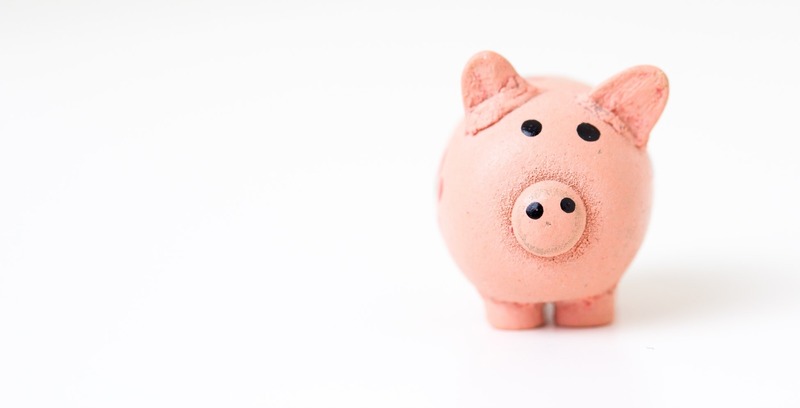 Some banks may have different kinds of savings accounts like high-yield savings accounts that require a larger deposit, but give you a better return. Money market accounts for slightly more interest. The benefits of a money market account are that you can invest safely, without the risk of the fluctuating stock market and you can earn better interest on your money than a typical savings account. Certificates of deposit (CDs) for long-term, high interest yields. Learn more about the advantages and disadvantages of a certificate of deposit here. Checking accounts that allow you to make payments. Checking accounts typically come with a debit card that you can use to spend money directly from your account. To make your transition smoother look for a financial institution that can provide you your new debit card the same day you open your new account. Loans for things like homes, cars, personal needs, etc. Some institutions will allow you to refinance your existing loans with better terms, essentially "switching" your lenders. Before you pick the account type or products you need, make sure you understand the requirements and minimums for each. Knowing the requirements for minimum balances or planning for monthly fees will set you up for success with your new account. It's also important to be aware of how to make deposits at your new credit union or bank, especially while you're transferring your money from your existing account and your new one – can you use PayPal, physical checks/digital check deposits, or do they work directly with your existing financial institution? When you're ready, opening a new account is pretty straight-forward and can usually be completed with an online application. This step is crucial, as the sooner you get your new bank account set up, the better. You can’t switch banks if you don't have an account to switch to. Once you open your new account, you'll receive all the account information associated with the account, as well as a debit card if you opened a checking account. Look at whether your new bank offers a switch kit. Some financial institutions provide this resource to help you transfer your money, open your accounts, set-up any automated deposits, and close accounts with your old bank. Give yourself time. You should open your account a couple weeks before you finalize your switch. This gives you time to get any money transferred, set up recurring payments and deposits, get your debit card delivered, and get familiar with your new financial institution (and any online or mobile banking apps it has). Getting a head start also gives you some leeway if there are any unexpected issues that you may run into while switching. Prioritize your switch. If you have bills that are coming up while you're switching, it may be easiest to switch those after they debit from your existing account. OR you can use this as an opportunity to make sure your accounts are all correctly set up at your new credit union or bank. Use the list you created to get organized in the first step to prioritize which accounts are being transferred and when. Keep both accounts open. Don’t close your old account too quickly. It might take a month or two for new deposits and payments to sync with your new bank account, experts say. So keep both accounts funded for at least two months. Keep in mind that you may have to continue paying fees while you juggle two accounts, but it will save you hassle if there are any issues with the new account. Plan for mistakes. There’s a decent chance that there will be a couple mistakes as you switch banks. You may forget an account, input information incorrectly, etc. To minimize the potential damage, keep some money in your old account. Returned payments or late payments can impact your credit score and result in fees. Once you've made it through the other steps and have run your accounts in tandem for a couple months to make sure everything is in order, it's time to officially say goodbye to your old account. Knowing how to close an old bank account may seem easy but you need to handle the process carefully to make sure you don't miss anything. Confirm all pending withdrawals have cleared your old account(s) and confirm all automatic payments have been transferred to your new account(s). Triple-check that everything is working correctly and that you’re not going to miss any payments. If you didn't already do it in Step 1, download any statement or transaction history that will be lost when the account is closed. Complete an Account Closure Request Letter and send it to your former financial institution. Some financial institutions may require you to fill out additional forms and some may require you to call or come in person. If your account is an interest-bearing account, request to have your accrued interest be paid prior to closing. If you're closing your account because you're moving, make sure your old bank has your new contact information in case there are any issues when closing your account. Verify that your account is closed. Call the bank check and try to log into your old account to ensure that it is closed. Sometimes instructions get lost or communication is dropped in the process. If you’re not aware of an issue with closing your account, you risk being charged for low balances or inactivity. Destroy any unused checks, ATM/debit and credit cards, and deposit slips associated with your old account(s). Make sure you've switched any old account information stored with a service provider — your credit card issuers, utility companies, cell phone carrier, etc. Some may notify you if a payment fails but others might not, causing bills to become late and pile up, which can affect your credit. Start using your new account for all your deposits and payments. Enjoy the satisfaction of a job well done! Not sure you want to make the switch on your own? Let one of our financial experts walk you through the the process of switching bank accounts and make sure the process is as smooth as possible. We're here to help you. No judgement. Just guidance.